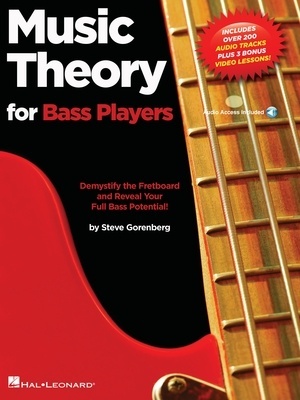 Finally, a music theory book designed for bass players of all levels! With this comprehensive workbook, you'll expand your fretboard knowledge and gain the freedom and confidence needed to tackle any musical challenge. Rather than overwhelm the reader with lots of complex theory that may be useful for jazz guitarists or keyboard players, this book and audio pack focuses on the elements that are essential for the bass player throughout, like how to write bass lines, lay down a solid foundation, and improvise. Features hundreds of examples to study and practice, including loads of “real world” bass lines and play-along audio tracks to jam to! Includes over 200 demonstration and play-along audio tracks and three bass fretboard theory video lessons online for download or streaming.